Is your trampoline's safety net starting to look worn out? We offer this medium textile net as a spare part for 3.6m wide round trampolines. 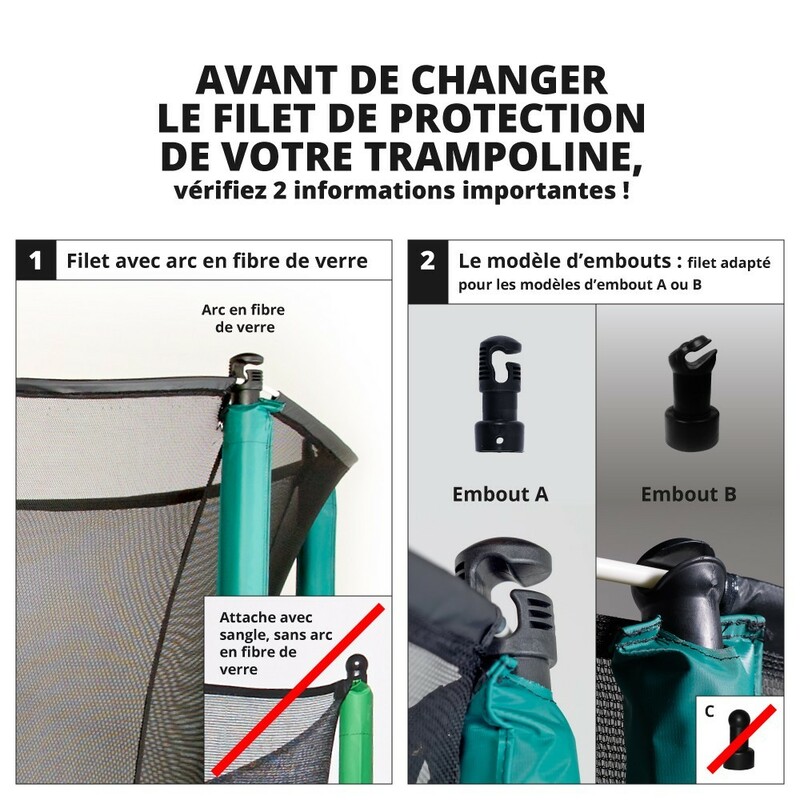 With this replacement net you change only the textile net from your safety enclosure. Don't wait to replace it, it is an important for the safety of your trampoline users because it keeps them from falling off the trampoline. - The medium textile net is compatible with our 12ft. Jump'Up 360 trampolines bought after March 2016 as well as round trampolines from other brands that have the same technical features. 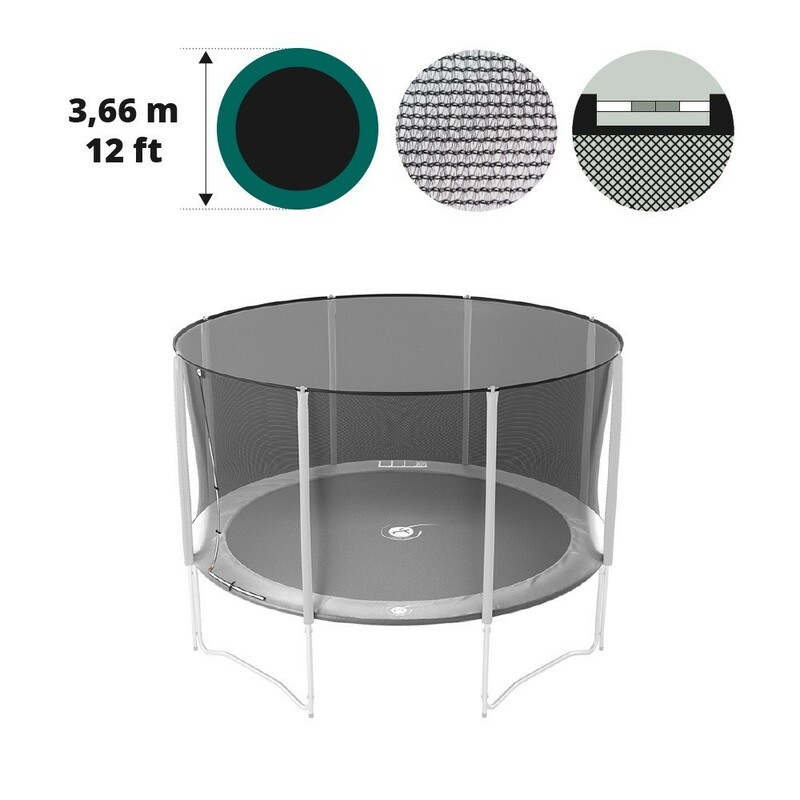 The overall diameter (exterior) of the trampoline must be 3.66m, it must also have 8 net posts with caps that hold the fiberglass rods (sold separately). 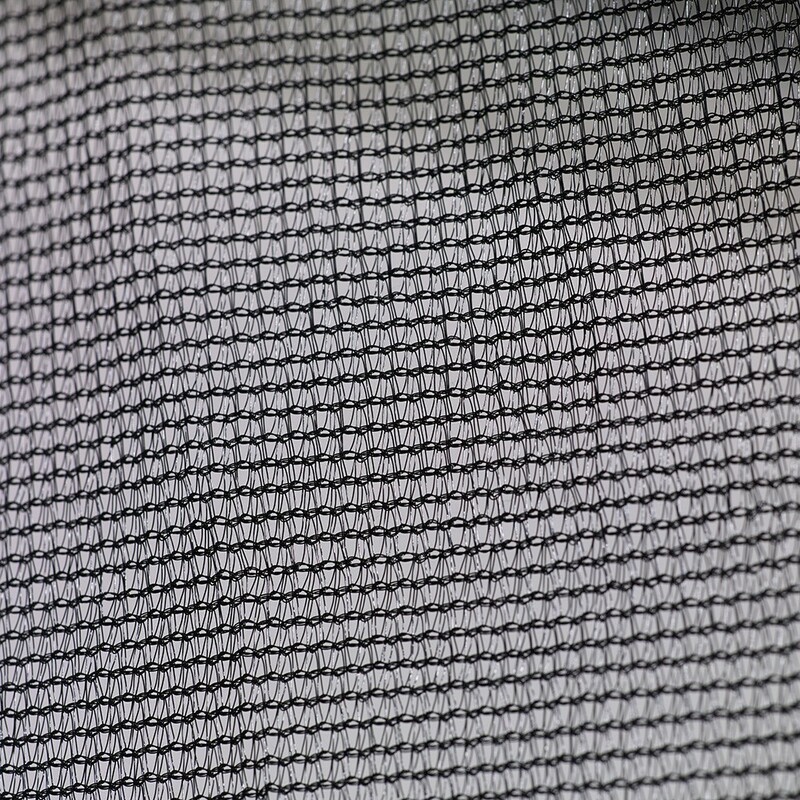 - The textile net is made from a polyester fabric, known for its strength and softness. This material makes the net very resilient but also nice to touch. So that young children don't get their fingers caught the netting is very tight to avoid injuries. - Access to the trampoline is through a zip door in the net. 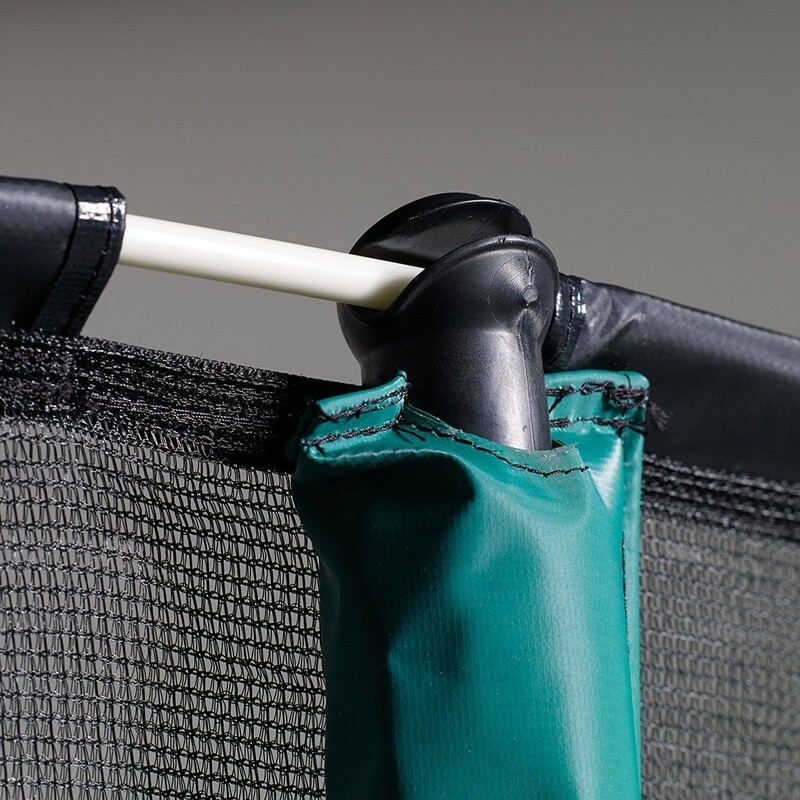 In addition to the zip system we have added clips on the outside for maximum safety and to guarantee an excellent security to those using the trampoline. This system is quick and efficient. - The net is held in two areas. At the top by the fiberglass rods that slide into the sheaths held by the caps at the top of the net posts. 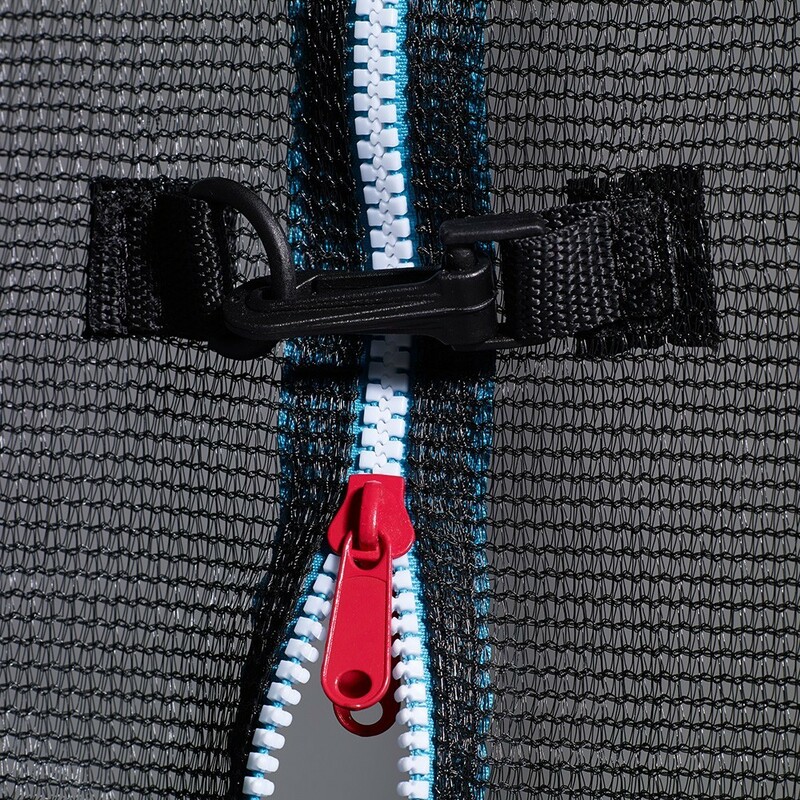 At the bottom, elastic straps with hooks that are attached under the trampoline on the hooks of the jumping mat. Remplacement d’un précédent qui avait tenu plus de 5 ans.